Common law can be described as the law of the land or the national laws which are common to the whole country and these have developed over time.Although the development of the common law was seen as for the better, it came with some problems. 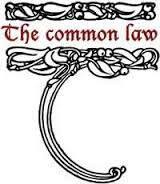 The special deficiencies or imperfections of common law were as to the law itself. Common law court was not always adequate and that the rules were too strict and it did not cover the whole field of obligations.That the person who could not get relief in this law courts presented their petition to the King in Council and later to the Chancellor. The result was that the court of chancery never claimed to override the courts of common law.